Whether you’re shopping for your own men’s wedding ring, or choosing one for your future spouse, The Diamond Vault is pleased to offer a complete selection of men’s wedding bands, with one sure to fit every lifestyle. Each ring is uniquely designed using subtle, refined details that can blend with a bride’s ring set while retaining a masculine feel. 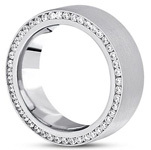 Styles range from a simple circle to a band studded with diamonds or etched bands in varied widths. Each designer ring is available with custom choices to ensure it is a perfect symbol of love and commitment. 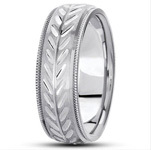 Our wedding rings for men come in 14K or 18K yellow or white gold, with many available in hypo-allergenic platinum, and you can add a larger diamond of your choice. If you don’t see the ring that matches your vision, we will be happy to create a customized piece of jewelry. Shop conveniently online, or visit the Scottsdale and Phoenix, Arizona showroom to see our offerings in person. We’re sure you’ll be amazed at the low wholesale pricing on the finest-quality diamond and wedding jewelry in the area. Let our expert staff help you find just the right wedding band for his personality, lifestyle, and budget. 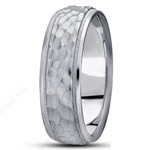 Today, you’ll find many male wedding band styles. In Europe (during the 1500s and 1600s), husbands would wear part of the gimmel ring given to their fiancés upon engagement, but both parts of the bands would be combined at the wedding ceremony, and the wife would then wear it. It wasn’t until the early 20th century when men started wearing wedding or engagement bands. Male wedding bands took on the value they do today after the Korean War, and husbands and wives started choosing matching wedding rings and designs. 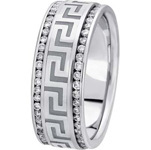 Initially, only plain bands were used because men often worked with their hands and were concerned about getting the jewelry dirty. 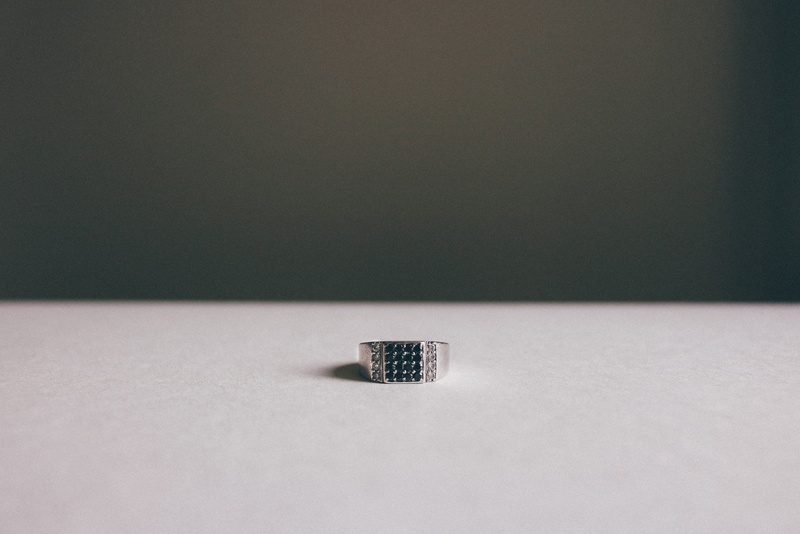 As work environments became cleaner, a men’s engagement ring or wedding band could feature more intricate patterns that would stay clean. Ad campaigns for male rings appeared in the 1920s, but double-ring ceremonies weren’t popular until the late 1940s and remain predominant in the 21st century. Yellow Gold: A gold ring with a yellow tint contrasts well with olive- or darker-colored skin. White Gold: White gold wedding bands look especially nice with fair and rosy skin tones. 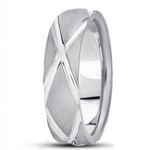 Platinum: Similar in color to white gold, a platinum band is strong and durable, yet is more expensive. 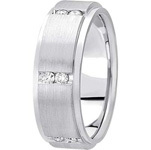 Palladium: Lighter and harder than platinum, a palladium band is available in many different styles. 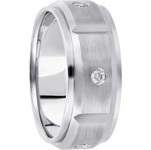 Contact us today for help finding men’s wedding bands in Phoenix, AZ.